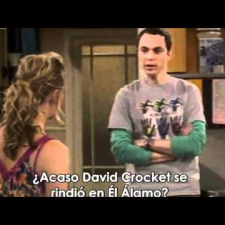 The Big Bang Theory is an American sitcom created by Chuck Lorre and Bill Prady. 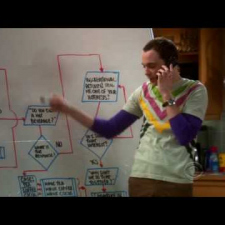 It premiered on CBS in 2007and the sixth season is expected to premiere in fall 2012. 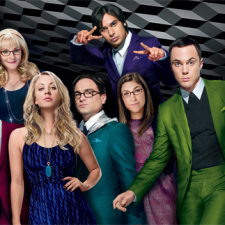 The show is centered on five characters: roommates Leonard Hofstadter and Sheldon Cooper, two physicists who work at the California Institute of Technology (Caltech) Penny, a blonde waitress and aspiring actress who lives across the hall and Leonard and Sheldon's equally geeky and socially awkward friends and co-workers aerospace engineer Howard Wolowitz and astrophysicist Rajesh Koothrappali. In August 2009, the sitcom won the best comedy series TCA award and Jim Parsons (Sheldon) won the award for individual achievement in comedy. In 2010, the show won the People's Choice Award for Favorite Comedy, while Parsons won a Primetime Emmy Award for Outstanding Lead Actor in a Comedy Series. On January 16, 2011, Parsons was awarded a Golden Globe for Best Performance by an Actor in a Television SeriesÂ â€“ Comedy or Musical, an award that was presented by co-star Kaley Cuoco (Penny). On September 18, 2011, Parsons was again awarded an Emmy for Best Actor in a Comedy Series.